Mr. Kingsley, along with his partner Charles T. McCook, and their associate, Matthew L. Rachmiel, brought their practice from Bumgardner, Ellis, McCook & Kingsley to Methfessel & Werbel in 2007. Mr. Kingsley is engaged as a civil litigation attorney; he has been certified as a Civil Trial Attorney by the Supreme Court of New Jersey. 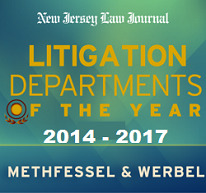 He has argued before the Appellate Division and New Jersey Supreme Court. He concentrates on matters involving personal injury, No-Fault (Personal Injury Protection or PIP) benefits, workers” compensation and Real Estate. 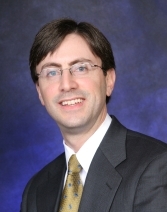 Mr. Kingsley is a member of the New Jersey State Bar Association, the Defense Research Institute (DRI), the New Jersey Defense Association (NJDA), and the Union County Bar Association. He was also involved with the American Inns of Court (Hudson County Chapter). Mr. Kingsley was a Co-Author of the Compendium of New Jersey Premises Security Law, American Law Firm Association, 1996-1997. He was also a Co-Program Advisor of Premises Security Litigation in Healthcare Institutions, New Jersey Hospital Security and Safety Directors Association Seminar.